With luscious red velvet upholstery and gold metal trim, this is a beautiful, modern bed that brings a world of luxury to your bedroom. 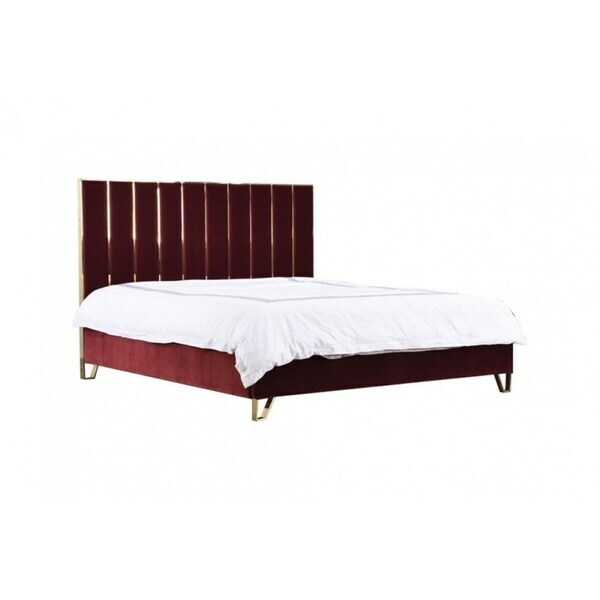 Eastern King sized, this bed is spacious, with the soft velvet giving a feel of true luxury for any bedroom. The high headboard gives the whole bed a modern, elegant look that will elevate your bedroom décor to a new level. Sitting on gold metal legs, this bed is supplied requiring some assembly, with that deep red color providing a beautiful look for your home. Dimensions 85.0 In. X 84.0 In. X 55.0 In.